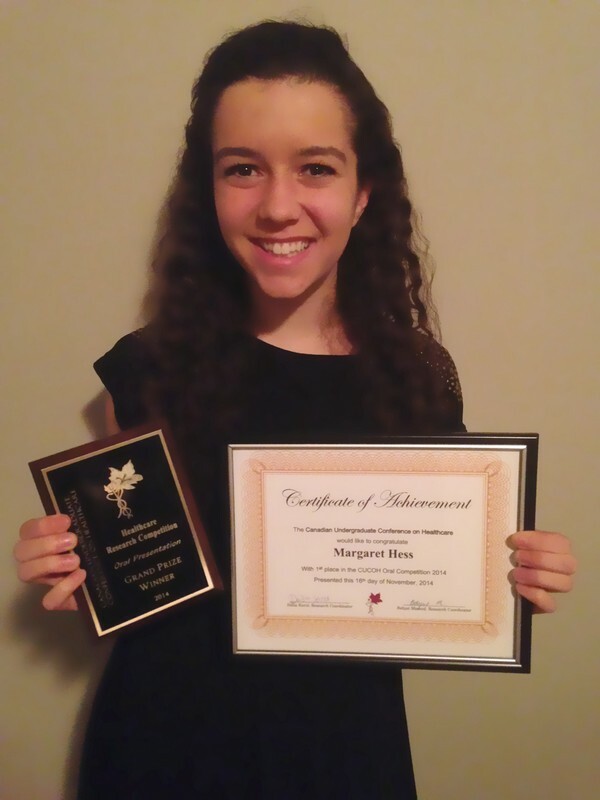 Please join me in congratulating Maggie Hess who received the Grand Prize in the healthcare research competiton oral presentations of the Canadian Undergraduate Conference on Healthcare, held on November 15-16, 2014. Maggie gave a masterly presentation of her project on "Quantification of intra-ventricular blood clot in MR-guided focused ultrasound surgery". This work was previously accepted to SPIE Medical Imaging, 2015. Great run, Maggie, on to the next one!